Football: Football went undefeated last week winning at the JV and Varsity level. The JV team hosted Heritage Monday night and defeated them 34-12. Nic Stuber led the way offensively with 2 rushing touchdowns and a receiving touchdown from Colin Shafer. Drake Deitsch pitched in the scoring effort with a kickoff return for a touchdown. 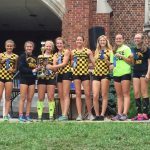 Spencerville Bearcat Invitational at Spencerville (OH) HS Saturday, September 10, 2016 HS Girls – South Adams finishes first Individual Results: 1. Kallee Patch, 2. Olivia Von Gunten, 7. Eliza Harruff, 8. Kara Seffernick, 13. Acacia Anderson, 16. Calyssa Lehman, 18. 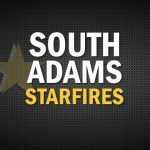 Hadi Hawbaker HS Boys – South Adams finishes second Individual Results: 1. Bailey McIntire, 2. 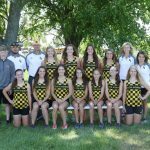 Meister Family Memorial at Monroe Central HS Saturday, Aug. 20, 2016 HS Girls – South Adams second. 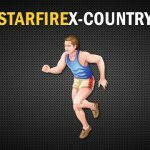 SA Individual Results: 15. Kara Seffernick, 16. Eliza Harruff, 17. Olivia Mason, 19. Olivia Von Gunten, 23. Kallee Patch, 26. Isabel Von Gunten, 32. Acacia Anderson, 37. Hadi Hawbaker, 61. Calyssa Lehman, 97. Makinzi Peace, 157. Audrey Burson.